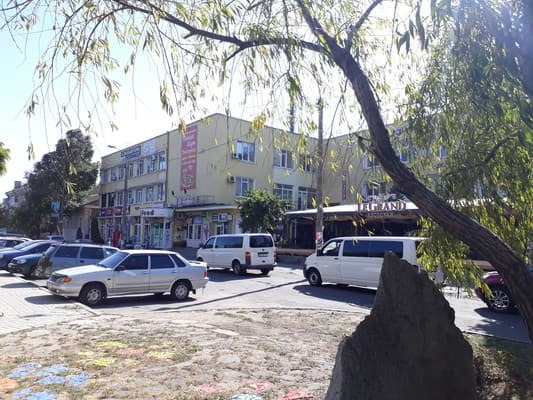 Azov Hotel is located in the heart of the resort-entertainment part of the city, 150 meters from the beach - at the very seaside square, and is surrounded by parks and walking alleys with fountains, nightclubs and cozy cafes, entertainment centers and attractions. 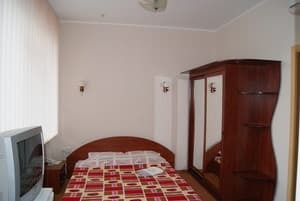 The hotel room "Azov" is presented by one- and two-room numbers of categories standard, junior suite and suite. Each room is equipped with air conditioning, TV, refrigerator, telephone, minibar, free Wi-Fi. 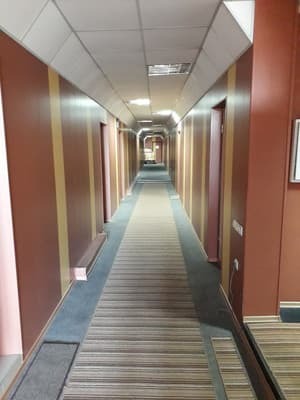 In the building of the hotel "Azov" is the restaurant "Owl", fitness center "Shock", beauty salon "Jasmin", poker gaming club "ICON", branch of "Privatbank". 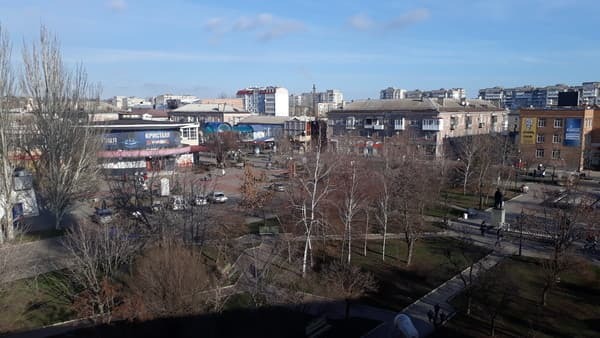 Near the hotel there is the embankment, where the cultural life of Berdyansk passes. The nearest city beach is not more than 5 minutes walk. The distance to the bus station is 1 km, to the railway station - 2 km. Description of the room: One room with the area of ​​14-18 sq.m. An iron and ironing board are available on request. 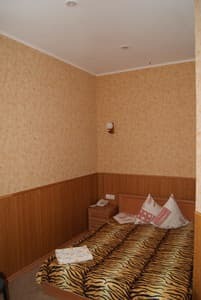 Description of the room: The room is 18 sq.m. with three separate or double single beds. 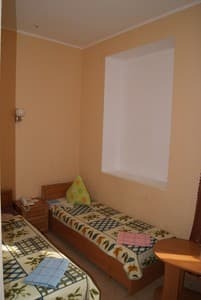 Description of the room: One room with an area of ​​30 sq.m. An iron and an ironing board are available on request. 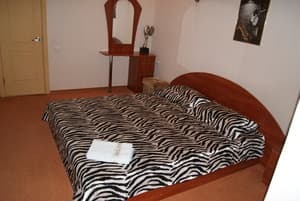 Description of the room: Two-room suite with area of ​​40 sq.m. An iron and ironing board are available on request. The hotel has additional rollaway beds. Extra bed to specify when booking. 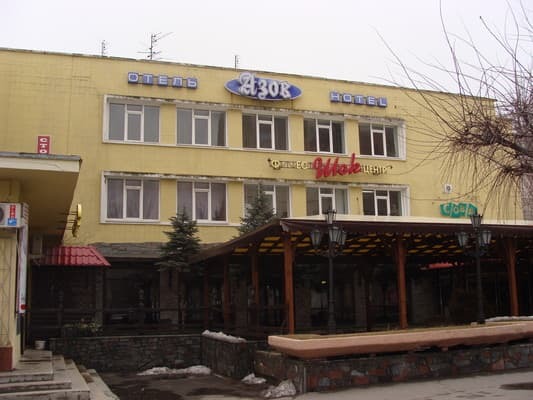 The hotel "Azov" is located in the heart of the resort and entertainment area of ​​the city, 150 meters from the beach. 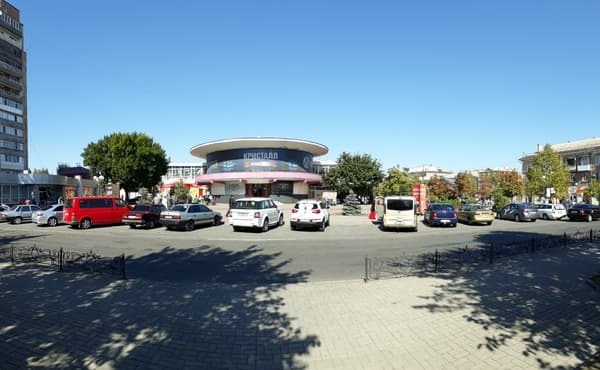 Bus Station - 1 km to the Train / Railway Station - 2 km. In the taxi to a stop, "Schmidt Park", 100 meters from the bus stop in the direction of the Seaside area. An additional benchmark - cafe "Sova".